In 1988 Robert and AnnMarie met in a jazz-funk dance class on New York City’s Broadway. AnnMarie Hudson, a Jersey girl, began taking classes on Broadway when she was ten years old. As time passed her passion for dance grew although her real interest became teaching and creating spaces for dance to happen. She created several dance and fitness businesses in New Jersey, including a studio of her own. Missing the feel and energy of the working dancers, she moved to Manhattan in 1983. AnnMarie continued dancing, managed a couple of dance studios, including the newly formed Broadway Dance Center and a Times Square jazz club while there. Robert made his way from South Carolina to New York City as a teenager when his career as an illusionist took off. Once there, he studied acting and dance, eventually landing parts on stage, screen and the Broadway musical, Dream Girls. Later on, although continuing daily dance classes, he became interested in television production, immersing himself in it as much as one could while remaining on the East Coast. In 1991 they relocated to Los Angeles. Robert secured a string of television internships in different areas of production and began classes at UCLA for filmmaking. AnnMarie took a job as assistant manager of the Moro Landis Studios, a dance and rehearsal facility which had been the “in” place in the 50’s, 60’s and 70‘s. By the 1980’s its founders, George Moro and Ruth Landis, retired and the landmark studio teetered in and out of solvency, management and foreclosure during the next decade. After only two months on the job, AnnMarie was informed that Moro Landis Studios was closing once again. The owners of the building, having heard of her dance management background, approached her to take over the lease of the 10,000 square foot facility. On January 6th, 1992, with ‘no money down’, hardly any staff and the purchase of 8 boomboxes from the drugstore, the future MILLENNIUM was born. 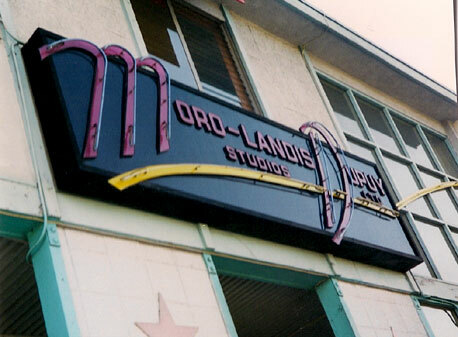 AnnMarie kept the name Moro Landis Studios to honor the dance legacy it represented and ‘because the neon sign on the front of the building was too big to move’! “When we left New York there was nothing called Hip-Hop dance in any of the professional dance studios, when we arrived in Los Angeles every studio had one on their schedule. I quickly tried to get a read on the L.A. dance scene. The talk was that hip-hop was a passing phase and didn’t belong in the ‘real dance’ world. I remembered that’s what they said about Rock and Roll in the fifties and decided to co-mingle the classic dance arts with this new urban, movement. It was this fresh expression for the next generation of dance. A raw force that would come to break across all pre-established boundaries and unite cultures around the world”. “Our faculty was created from raw talent walking through the door. No resumes required at the beginning, each candidate was tested out in the dance class and hired on pure ability. The momentum of the hip-hop classes was building right along with the jazz and ballet. The students were trying everything, embracing the new, the old and each other. Word spread throughout the dance community and soon we were filled with choreographers wanting to teach and bringing their rehearsals to us. I remember one week in the mid-nineties, Dr. Dre had filled six studios with his hip-hop artists and dancers rehearsing for the MTV Awards and using our lobby as his office, all amidst the interchange of ballet, jazz and modern classes. Things just took off from there. The energy was so alive with the cross pollination of dance styles. It was a really an exciting time”! “During that period, we didn’t imagine that the new teachers, students and ‘workstudy kids’ would become prominent influences in the future dance world. Nor could we have dreamed that so many of those, like Emmy award winners and nominees Wade Robson, Shane Sparks and Charles Klapow and You Got Served choreographer Dave Scott, would still be part of our studio family nearly 20 years later, dedicated to influencing the next generation of young hopefuls. Fame director, Kevin Tancharoen, in elementary school when he came to dance at MILLENNIUM, would return 14 years later to produce an MTV series called Dance Life starring Jennifer Lopez and 6 dancers at MILLENNIUM following their dreams”. By February of 1999, Robert had created movies for NBC and ABC. He then secured a producing deal with former CBS president, Bud Grant, legendary longest running network head in history. Robert also served as a talent booking agent for The Clear Channel Networks, when his ‘first look’ deal at Warner Brothers Studios expired. He temporarily moved into offices at Moro Landis Studios and was promptly re-bitten by the dance bug. He joined his wife shortly thereafter as its co-director. In August of 1999 the Moro Landis Building was sold. The business moved a mile up the road and opened as MILLENNIUM Dance Complex, named after the impending year 2000. Later that year they won, Best Dance Studio, at the first Hip Hop Dance Awards. The new MILLENNIUM blossomed into a one-stop-shop for dance. Students came from all over the nation and the world where this level of dance opportunities were much less accessible. Now, nine years after its inception, the faculty was comprised of top choreographers. Dancers could train, attend auditions, rehearse for their dance shows and network with established industry professionals. The biggest pop stars in the world flooded in to take classes, scout talent and rehearse for upcoming tours and videos. Britney Spears, Justin Timberlake and In Sync, Usher, Janet Jackson, Prince, Christina Aguilera, P.Diddy, Alicia Keyes, Beyonce, Missy Elliott, Mariah Carey, Jennifer Lopez, the list went on and on. Dance specials, television segments and entertainment television came to MILLENNIUM to film or cast their projects. A new MTV series, “Becoming”, was filmed with the studio as its backdrop. 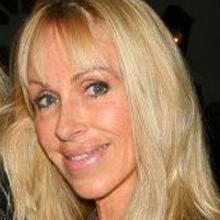 Producer/choreographer Robin Antin rehearsed “Becoming” in one studio and her pet project, the Pussycat Dolls, in another studio down the hall. Much consideration was given to the aesthetics of the building with an awareness of creating an empowering environment in which the arts can flow. The new location was painted deep orange, a color which stimulated the second chakra, that of creativity. The interior walls were splashed with various colors to support the artistic nature. The entire building was feng shuied for the success, support and harmony of all who entered. Stage-like lighting was installed in all the studios to give dancers the sense of performing and being a step closer to their dreams. Inspirational quotes were hung on the walls, as were signed photos of all the notable choreographers, dancers and artists who passed though, supporting the belief that dreams can be achieved. Shifting into high gear, Robert used his well honed marketing skills to bring the studio into the forefront of the entertainment business. He developed the MILLENNIUM system of artist development: training the young dancer, exposing them to performance and teaching, choreography and mentorship opportunities as well as business guidance. He created the MILLENNIUM DANCERS from the talent pool of their Workstudy Program to perform at industry events and give young choreographers a chance to get their work seen in L.A.. A youth dance company was formed. A summer study program was developed, exposing students to everything they might need to achieve their dance goals: top notch instruction, career advice, inspirational talks with choreographers, teachers, agents, managers and studio directors. Participants were invited to attend music video shoots, mock auditions, actual auditions and dance performances. The MILLENNIUM Dance Dorms were established to give dancers an opportunity to connect with each other while visiting from other states or a foreign countries. Robert dedicated himself to connecting with dancers and finding out how the studio could better serve their needs. He developed relationships in which he made it known that MILLENNIUM was there for the long run, to be of service in all aspects of the dancers’ career. As MILLENNIUM enters its 20th year in 2012, it’s founders feel it has stayed true to the vision of spreading and supporting the art of dance. ‘We feel honored and blessed to have been given the privilege of serving the dance community’. George Moro and Ruth Landis were a couple of young dancers in the vaudevillian era. He, a tap dancer and she a showgirl, met while working together in a show, fell in love and married. At this time Las Vegas was blossoming into a star-studded hot spot, but was still not enough to have the facilities to properly develop its shows. George and Ruth bought a building that had been a beatnik coffee shop near the corner of Ventura and Vineland in Studio City, California and began to construct what was to become The Moro Landis Building. They began a production company that would reign on the Vegas Strip, producing most of the shows there. The stars came to rehearse at Moro Landis, the dancers were choreographed, the costumes, tickets, sets, absolutely everything was created on the premises. At the same time a fellow dancer friend of George’s, the now legendary “father of jazz dance” Luigi, was looking for a place to teach regular classes in Los Angeles. George put in a large dance studio for his friend and hence the inception of “Studio B”. The site quickly became the hub of all that was dance for stage, television and the big screen. The dancers who were under contract at the Warner Brothers Studio were even housed in an apartment building across the street, at 4140 Arch Drive. The Moro’s were extremely successful and became millionaires while they raised three children in and around their dance center. A longtime friend and ex-MGM contract actress, Dorothy Barrett, says that each time you would meet George on the street and chat, he would break out in a tap time step while continuing the conversation. Former Warner Brothers contract dancer, Douglas Burnham, recalls that things were a bit crazy there, due to the mix of artists….you never knew who would walk in the door or what would explode. There are only fond memories of this beloved man who truly loved dance and dancers who made his life, family and business the Moro Landis Studio. When he passed away in the mid-eighties the business was tied-up and Ruth sold the building. For generations of dancers and performers, The Moro Landis name represents memories, a piece of history, family, success and mostly continuity, in a business that is known for anything but. What we become is never just the result of our own efforts, but is built upon the foundation of those who have come before us or supported us. We honor the memory and tradition inspired by George Moro and Ruth Landis and feel it is important to carry on their name into our new MILLENNIUM.